Violet and her siblings were born to a feral mother cat and rescued by a kind lady who wanted the young kittens to have a better life than that of a street cat. Violet was shy at first and hesitant to accept human attention. Luckily, her curious and playful nature quickly overcame her shyness and she adapted well to her foster home. Violet quickly bonded with the other cats in the home and would likely do best in a home with another cat. She loves to play with toys and wrestle with the other foster kittens in the home and is an active but well behaved young cat. Violet enjoys attention from people as well. Her sleek, shiny coat is as soft as silk and it's impossible to resist petting her. Her markings are black and tan rather than the usual tortoiseshell orange, giving her a unique look. She has the cutest little meows when she wants attention and always greets her foster mom at the door when she gets home. 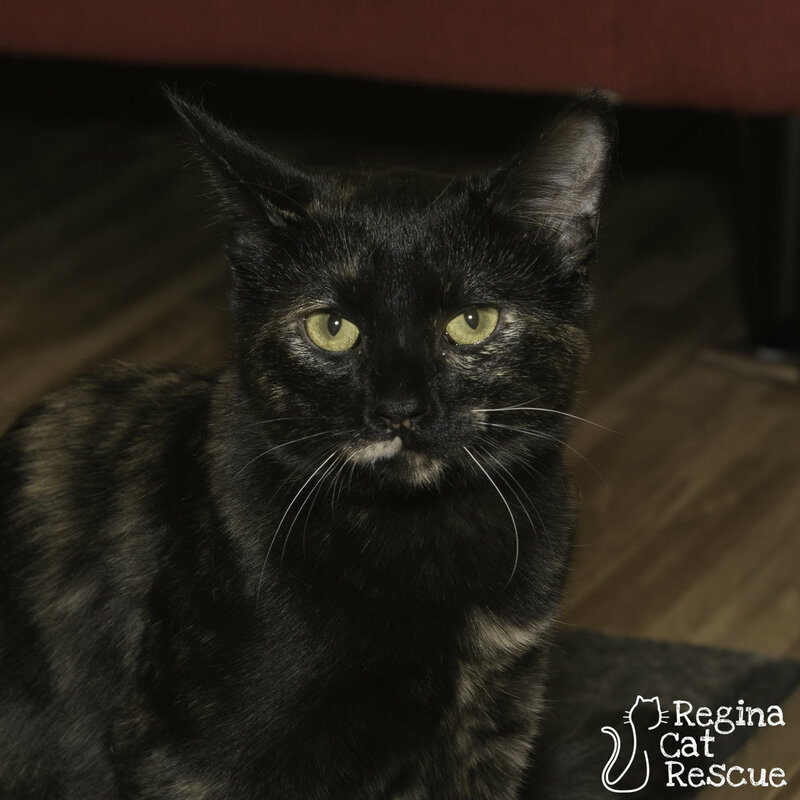 If you are interested in Violet, click here to view our adoption contract and click here to complete an adoption application or email the RCR Adoption Coordinator at rcradoptions@gmail.com for more info.